Reflexology is a hands-on technique in which reflex points in the feet, hands and other areas are pressed and stimulated. Each point corresponds to a part of the body; thus by prompting circulation of reflex points, the corresponding part of the body also benefits. 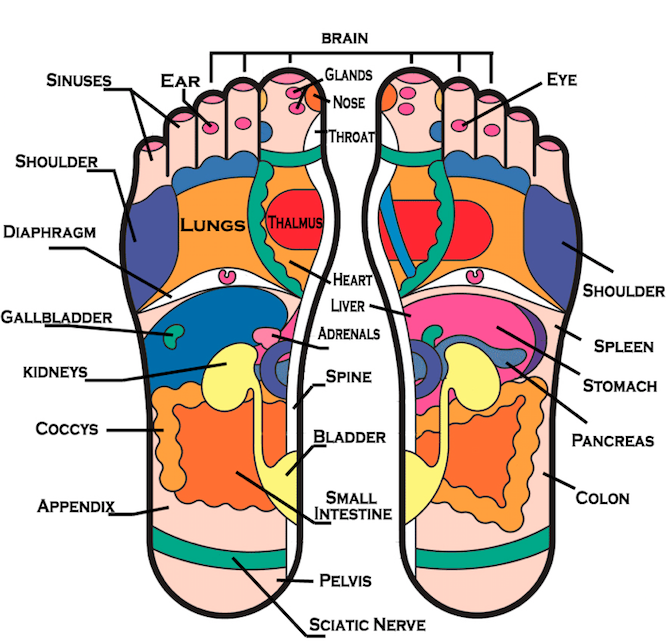 Reflexology is more than 3000 years old and is widely used in Asia and Europe. See a demo in the video below. Click here for rates & other services. Fiona trained in foot reflexology in British Columbia with the Universal College of Reflexology (2014) , and in Body Reflexology (2017) and Indian head massage (2018) with the Atlantic School of Reflexology.